Who says if you’ve seen one screen you’ve seen them all? Not us! 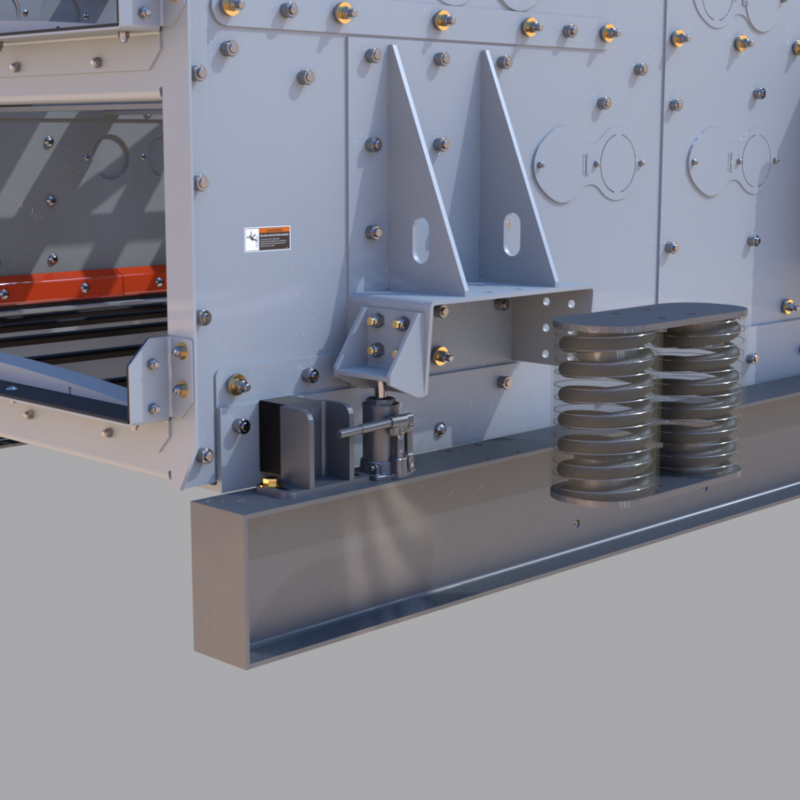 Using the voice of our customers as a guide, we designed and manufacture our bulk material vibratory screening solutions to overcome some common pain points. For example, the act of replacing springs on screens and feeders used to require the assistance of some heavy-duty machinery. Instead, our engineers invented simple bottle jack lifting points to speed and improve safety of spring replacement. Click below to learn more about our modern revisions to antique technology. Requires only 6 to 8 bolts to remove and slide out the old springs. Eliminates the need for a crane or bucket loader.